According to the World Health Organization, one in every four couples in developing countries is affected with infertility. Many infertile couples do not know of all the options to support reproductive function in order to become pregnant through non-medical means. Within the past year we were introduced to a little-known natural option to help women who have struggled with infertility improve the health of their reproductive system in order to achieve pregnancy. 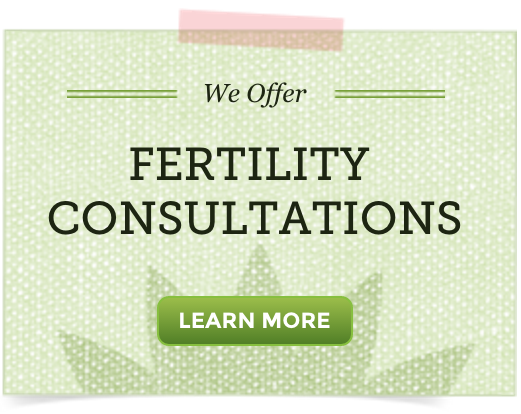 Mercier Therapy is that option, an empowering therapy for reproductive healing, spreading quickly across the world. We are happy to be able to share information about this therapy, as we feel it is a special tool that women with infertility should know about. We invited Dr. Jennifer Mercier, creator of Mercier Therapy, to discuss this topic with us. Before we get to the interview, I highly encourage all readers to first take the time to learn more about Mercier Therapy by reading our detailed article Mercier Therapy for a Conscious Conception. This article lays the foundation for understanding why and how Mercier Therapy was created. NFI: What type of reproductive health issues do Mercier Therapy certified practitioners work with? Dr. Mercier: Primary and Secondary infertility. We address endometriosis, polycystic ovarian syndrome, amenorrhea, anovulation, secondary fertility challenge due to primary c-section, elevated FSH/low AMH, subclinical thyroid issues, tubal blockage, luteal phase deficiency, sexual abuse trauma recovery, and pelvic pain. NFI: Which reproductive health issues does Mercier Therapy benefit the most? Dr. Mercier: All of the above. Whenever we can incorporate movement and restore blood flow to the pelvic organs, it is like magic and helps to re-optimize the function of the pelvic region. NFI: Is this therapy effective for women with blocked fallopian tubes? Dr. Mercier: Yes. I believe that women with past infection or tubal reversal can produce scar tissue or mucous plugs and with deep manipulation we can bring a positive change to the tubes. NFI: What does Mercier Therapy entail? Dr. Mercier: A Mercier Therapy session is 60 minutes of deep pelvic organ visceral manipulation. This is not a spa treatment by any means and can be uncomfortable. The results are tangible after the very first treatment. I’ve heard of women with an increase in vaginal discharge or more frequent urination, and decrease in pain. NFI: How many times does a woman need to have the therapy performed? Dr. Mercier: The number of treatments must equal 6 hours of treatment. Usually women come in for one hour per week for 6 weeks. NFI: Is the therapy uncomfortable at all? What can a woman expect to feel, in general, during the therapy and afterward? Dr. Mercier: The therapy can be uncomfortable. During the session some discomfort will be noted especially if endometriosis is present. Most women report that the session is intense because the work is so deep and that no one has ever worked that deep prior. NFI: How long should a woman wait to try to conceive after having this therapy performed? Dr. Mercier: We will start monitoring her cycles once we finish the work and she starts her new cycle, but I always tell her to keep trying during our sessions. NFI: Is this therapy expensive? How about compared to IVF? Dr. Mercier: The Shared Journey Fertility Program starts with a consult in which a history and pelvic organ mobility test is performed. If the actual program is the right fit for her than the cost of all of the sessions, supplements and one full year of cycle monitoring is $2250.00. Compared to IVF on average at $12,000.00 per cycle this work is so much more healing and really puts the woman into a place of collaboration rather than a takeover situation. 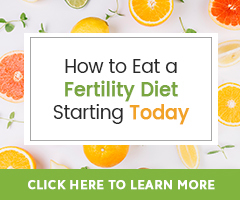 NFI: For women struggling with infertility, do you suggest they do other things outside of Mercier Therapy to improve their fertility and, if so, what tools do you find effective for improving fertility? Dr. Mercier: I think that women should choose what feels best to them. Let’s face it: we’re busy, too busy. More is not better. Pick one thing and move forward wholeheartedly. I do use herbs and other supplements that are supportive during our work together. Sometimes I’ll use bio-identical hormones as well. NFI: What types of other natural therapies compliment Mercier Therapy? Dr. Mercier: Chiropractic, yoga, healthy diet. NFI: Do you help women prepare for IVF should they need to go that route? Dr. Mercier: Yes. If a woman needs IVF, then we will help prepare her prior to her stim cycle. NFI: How helpful is this therapy for women preparing for IVF? Dr. Mercier: Going into IVF blindly without proper preparation is not wise. I explain it this way…you wouldn’t sign up to run a marathon and just show up the day of the marathon without getting your body into the best possible shape. NFI: Do you recommend additional sessions postpartum, and if so, how is this beneficial to postpartum recovery? Dr. Mercier: Yes, doing the work postpartum is important for several reasons; chief among them is to reconnect with yourself and to help reapproximate the rectus muscle. Doing this work postpartum also helps to decrease the chance of postpartum blues by being able to talk during the session and knowing that she has support. Working deeply into the pelvic bowl can tighten up the pelvic floor thus reducing the chance of uterine prolapse and bladder issues later on. NFI: What sets Mercier Therapy apart from other massage therapies for fertility such as Maya Abdominal Massage or the Wurn Technique that Clear Passage physical therapy does? Dr. Mercier: Mercier uses no internal work nor is it considered physical therapy. We base our work on a more clinical model rather than a spiritually-based method. NFI: Why do so few couples know about this therapy; is it because it is relatively new? Dr. Mercier: We only started teaching our professional training classes in 2007 and have 108 trained Mercier Therapists in the US, Canada, Australia, Denmark, and Austria. We are currently offering the training classes 3 times per year in the U.S. and will be offering them in the EU, Scotland, Australia, and South Africa in the near future. My book was released in 2010 and our documentary film will be released sometime by the end of 2015, so we are anticipating a widespread knowledge sharing. NFI: If someone is interested in Mercier Therapy services, how can they get in contact with a practitioner? NFI: Thank you Jennifer for sharing your passion, kindness, caring and expertise with the world. Great questions! Please reach out to Dr. Jennifer Mercier and her team. They are best equipped to answer your questions thoroughly and correctly. Visit Dr. Jennifer Mercier’s website, http://www.drjennifermercier.com, or contact her via that site to inquire about practitioners near you.